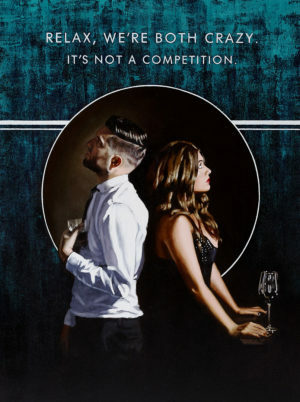 Richard Blunt never lost his love for art, but it wasn’t until his late twenties that he was inspired to try oil painting and was instantly hooked. Following notable gallery success, in 2012 Richard was taken on by a UK based publishing house, placing his original artworks and embellished prints in galleries around the UK and gaining collectors for his work worldwide. Richard oil paints vintage-style artwork using traditional techniques. 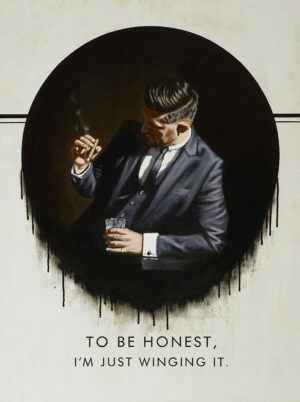 However, inspiration from film, music and the world around him help form the backbone of his figurative compositions. Richard uses fashion and props from bygone eras to help create stunning tales of love, life and mystery. 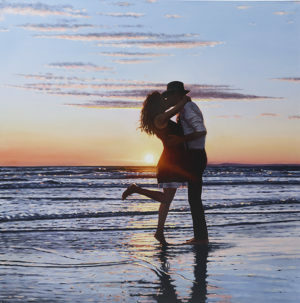 Born and bred in the West Midlands, Richard Blunt has always aspired to be creative. Loving art as a teenager, Richard decided he’d like to study fine art with the view to turning his passion into his career. However, when an advisor told him he would ‘never make any money as an artist’, he chose to compromise his vision and instead studied three-dimensional design at Worcester College of Art. Upon leaving college, frustrated and unsure of his career pathway, Richard turned his mind to music. 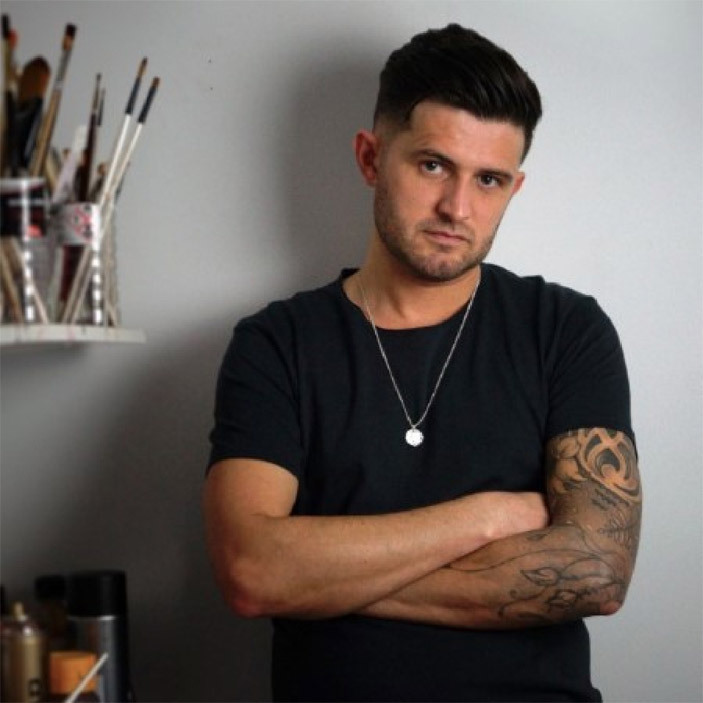 After spending the next ten years playing in various bands, he eventually relocated to Cardiff, South Wales, where he completed a degree in Popular Music and has since set up his own dedicated art studio.